Malposition of central venous line, which does not enter the right subclavian artery, points into mediastinum. 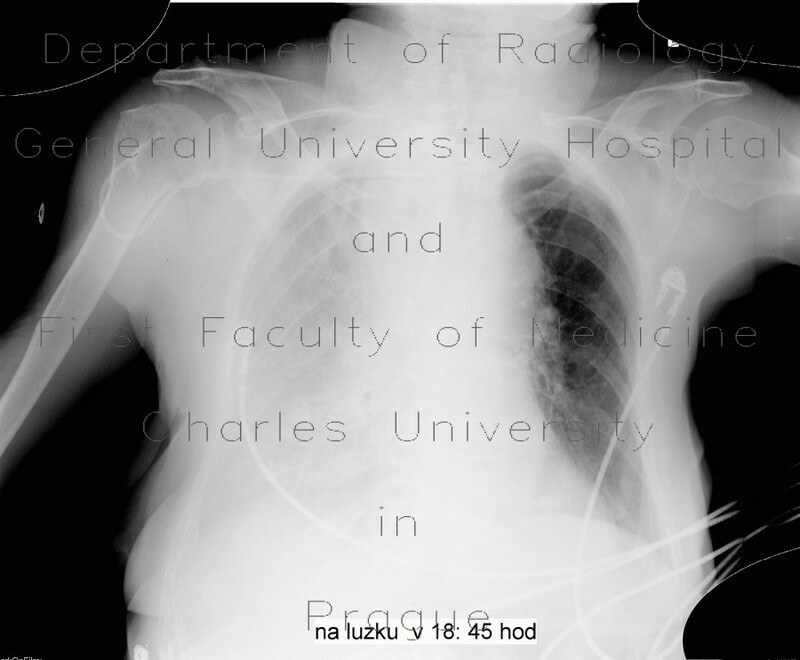 Fluid that was administered enters mediastinum and right pleural cavity causing fluidothorax. Contrast administered into the line spills in the upper mediastinum. A chest tube was inserted to drain fluidothorax. Widening of upper mediastinum to the right side peristed longer.